My friend Jill Nussinow, aka The Veggie Queen, has recently created a wonderful cookbook with a unique theme. And she’s giving a copy of the downloadable electronic book for one of my lucky readers. True to form – as all of Jill’s work, this book is extraordinary. You may recognize Jill from her pressure cooker cookbook The New Fast Food. 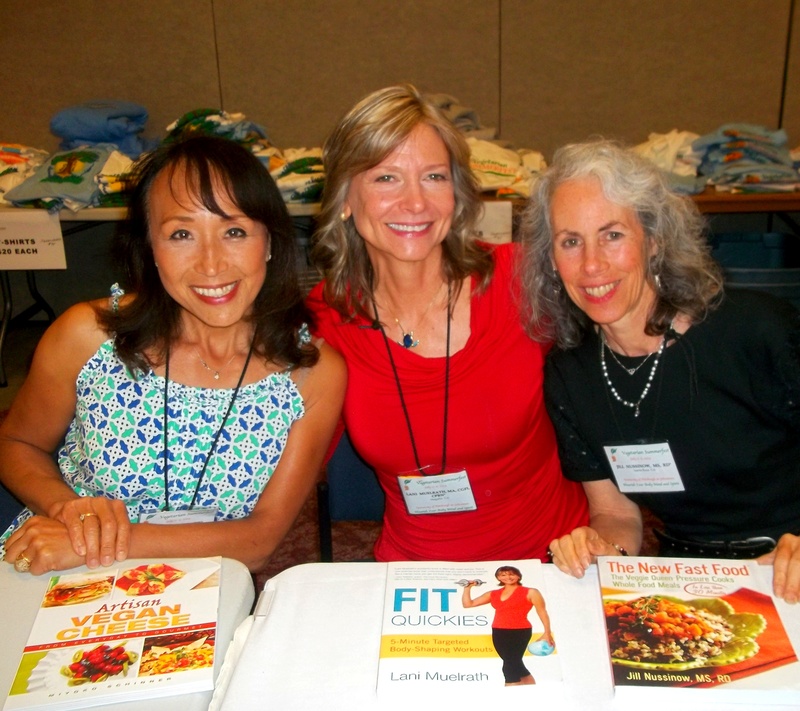 Jill Nussinow MS, RD, l is a nutrition professional, and a registered dietitian at the Masters level. Jill’s Nutrition CHAMPS is a paperback and downloadable electronic cookbook with 200 recipes, many of which are gluten-free, no oil, low or no sugar and salt. CHAMPS is an acronym for six food groups that are antioxidant, anti-inflammatory, and anti-cancer in nature: cruciferous vegetables,, herbs and spices, alliums,, mushrooms, pulses, and seeds and nuts. Nutrition Champs includes recipes from each of these 6 groups of food. Jill’s recipes are augmented by those from some of your favorite cookbook authors, bloggers and writers including Dreena Burton, Fran Costigan, Miyoko Schinner, Ellen Jaffe Jones, Chef AJ, Mary McDougall, Robin Robertson, Chef AJ, Robin Robertson, yours truly, and too many more to list here. The breadth of recipes from breakfast to desserts cover all the CHAMPS foods, including raw, cooked and pressure cooked. You will learn more about the health benefits of each food category, with tempting recipes that you can eat daily. 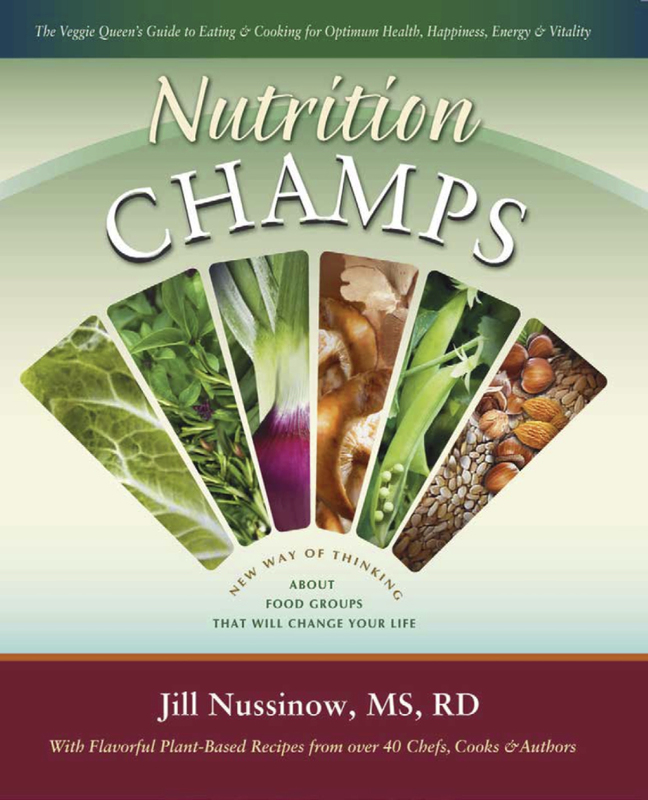 How to win a copy of Jill Nussinow’s Nutrition CHAMPS! Which CHAMPS group could stand show up on your plate a little more often? And if you are eating all of them on a regular basis, well, tell us that too! A winner will be selected from all entered by midnight EST Monday, March 9. Alliums also include garlic, shallots, green onions, leeks and chives. They all add so much flavor and I use them often. We eat tons of the cruciferous veggies. Sadly, I eat no mushrooms as I am not a fan. Would love to change that! Melanie, thanks for getting things started! Is it ALL mushrooms? 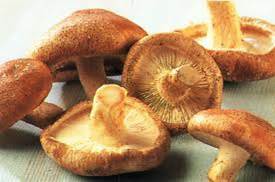 They can vary so widely – fresh, canned, or actually my preferred, dried shitake which I reconstitu in pressure cooked soups! Have you tried all of them? Other than that, nice work on the cruciferous! You are ahead of the game! I eat mostly the pulses. Love to make bean dishes: burgers, wraps, stews, soups. I could eat more cruciferous veggies. I have been eating whole foods plant based for about 5 years and it turned my life around. It is amazing how something that simple could have such a profound effect on one’s life and health! I’m eating all the foods listed, but sure would love to teach my taste-buds more about herbs and spices! Leslie, as for spices, I have a few favorites that I tend to rally around: curry vindaloo, chipotle, chili, and cardamom. I don’t exactly where they fit into CHAMPS but I love ’em! Thanks for your contribution to the conversation! Pulses I eat every day. Mushrooms need to be here, more. Karl, me too on the pulses! Which are your favorites? I tend to hover around black beans, garbanzos, baby garbanzos and lentils. I am not sure what are alliums, and I definitely need to eat more pulses. I do eat plenty of all the other groups, which I love! Alliums = onions. Didn’t I say it in the article? Must check! Thanks for jumping into the contest! Thanks Jill for the additional info! I think I’ll add this to the article! I eat pulses everyday – particularly black beans – but definitely need to eat more mushrooms. I like them but my husband doesn’t so I tend to forget about them. I do use dried porcini or shitake mushrooms a lot for veggie broth. I eat broccoli pretty regularly but could stand to add in other stuff. I eat plenty of pulses but definitely need to increase mushroom, herbs, and spices consumption! Cruciferous vegetables and pulses are regularly on my plate. Mushrooms need to make an appearance more often. Lani, thanks to your gravy recipe, I now eat mushrooms! I don’t eat nuts and seeds often as I think that they’re a little on the fattening side, but I am a huge fan of veggies and the Instant Pot. Kathi, really? I love that! By the way, I have a new mushroom gravy recipe you’ll be able to try soon! It’s being bundled up with a few other of my favorite sauces recipes that we just couldn’t fit into The Plant-Based Journey. They’ll be a bonus gift with book preorder (2-3 copies) so if you’ve pre-ordered the book, hang onto your receipt! I’m an IP grrrrl too. But then you probably already know that! Im’doing all the food groups also,I would like to do some more mushrooms if I could get the good reshi,s. Brandon – mushrooms seem to be a common challenge. I’m surprised to see this! In addition to the dried mushrooms, I buy organic canned mushrooms at Costco by the case and plow through them pretty fast. I love peas, beans and lentils so eat them often. They frequently form the base of my meals. I love mushrooms as well, but don’t cook with them that often. I could use some new ideas on how to use them. I eat a lot of beans and lentils in soups. I need to eat more vegetables and mushrooms. Hey Chris! What about folding some handfuls of baby spinach or kale into your soups a couple of minutes before serving? I do this often, the hot soup performs a quick wilt on the greens and you can really get sizeable servings of greens this way. We eat alliums the most, onions and garlic go in everything as do spices. I love mushrooms and my husband does not so for most of my married life I did not eat them, last year I finally realized how silly that was and now make a mushroom sauce once a week. I am making up for lost time. I probably eat the cruciferous vegetables the least because I find them hard to digest. Pea, beans and legumes are on the menu several times a week, and I consume chia seeds in my oatmeal, my husband mixes with water and drinks in the morning. Nuts appear in the weekly granola I make or my husband makes. He is the consumer of the granola as he has no weight issues. Nutrition champs looks like an excellent book, very interested in nutrition! Kim, stars all over the chart! I enjoy reading your detailed response. Mushroom sauce? Would love to hear your recipe! Also your granola! Yums! Shari, sounds excellent! How long have you been on the journey? We eat lots of cauliflower, seeds nuts and the onions and beans. I don’t eat many mushrooms because I don’t like the texture. Marianne, is it the fresh ones that bug you, or does that apply to dried and reconstituted too? Another option would be to blend into sauce, gravy or soup – so you’d get the flavor without the texture. We eat lots of mushrooms. Not so much seeds and nuts because of the fat. We eat a lot of the cruciferous veggies, onions, and mushrooms, and I have been expanding my herbs and spices repertoire to include things like Berber & Moroccan spices. My husband is not a big fan of peas and lentils, so we eat a little less of them than I would like. But I keep trying to sneak them into dinner dishes! Nuts and seeds are generally my go-to snack, but I also add them to baked goods and salads. I would like to expand my recipe box, though, as I find I just keep making the same few things all the time. I eat more beans, peas and lentils and I wish to eat more cruciferous veggies. I’m not a big spice person. Being a vegan I eat a lot of HAMPS, but missing out on the Cruciferous vegetables…. I have no particular reason for that, just that I don’t seem to be so creative with these ones in my kitchen. And that’s a pity, because I had 2 strokes 2 years ago on my 50th, and the best I can do is to eat a lot of the cruciferous veggies because of the vitamin K in it….. so I would love to get some help in the kitch!!! Greetings from Amsterdam, the Netherlands!! Nuts are plentiful in my diet as well as cruciferous vegetables, onions, beans and lentils. My plate/diet could use more mushrooms and be more exciting with added herbs and spices! I eat plenty of “HAM,” but could probably stand to eat more beans and lentils! I love all of the vegetables and use quite a few herbs and spices. I need to remember to use the lowly mushroom! As a kid growing up in the midwest, we would watch for the morels…now In GA with a small house and small yard, I’m thinking I should get a kit to start growing my own mushrooms! This sounds like a fabulous cookbook, I’m familiar with so many of the contributors…it would be an awesome addition to my vegan cookbook collection. Cruciferous veggies are regulars. I love pulses and make them all the time for my puppies, but they could show up more on my own plate. Lani – I eat from all the groups on a regular basis – but seeds and nuts make a rare appearance (excepting the chia seeds that I add every day to my oatmeal). However, it occurs to me in looking at the list that cruciferous veggies don’t get consumed often enough! Jill’s book sounds wonderful and I thank you so much for this awesome giveaway!! We’ve been on the plant-based path for 3 years and eat all the veggies, grains, etc. Light on the seeds and nuts though; too calorie dense. I am pretty good about getting them all in everyday. If I leave one out once in a while it would be the mushrooms. The pressure cooker really helps me with wonderful soups and stews that include so much of the high value foods. I eat a good amount of cruciferous veggies and pulses. I would like to learn to incorporate more herbs and spices, as well as alliums into my diet. We eat everything because I grow what I can. I use a ton a herbs because I grow most of my own. I don’t use seeds and nuts a lot. While we eat cruciferous veggies every week I don’t have many ways to fix them. I cannot eat any veggies from the nightshade family so my selection of recipes is la little limited. Not every recipe is a keeper. I would love help with this and pulse recipes. Lani – We have been plant based for over 5 years and are enjoying the vegan adventure and awesome health benefits! Cruciferous veggies, herbs and alliums are regulars in our meals. Sadly I buy mushrooms and they tend to go bad before I can figure out how to incorporate them into anything but a stir fry or just grill them – so could use help with recipes with them. Seeds and nuts are snacks for my husband and toppings for his salads – too many calories for me so I really limit these for myself. Thanks so much for the Vegan Cookbook giveaway of Jill’s – would be overjoyed to benefit and add this to the collection! I am so grateful for all the help that comes from the awesome folks moving in this healthy direction. Greetings to all from Canada! Eliza, I know what you mean about the best intentions not coming to fruition until the veggies are beyond redemption in the fridge! The dried muushrooms are a perfect solution – as are canned! Love Jill and her cooking. Love all the food groups in her new book CHAMPS!! Hope to win a copy. We love mushrooms of all kinds and have them at least 2-3 times per week, whether in a stir-fry, soup, triple extra mushroom pizza, or a simple saute. However, we need to incorporate more cruciferous veggies for sure! I eat a lot of the cruciferous veggies but need more help with getting in the mushrooms! I want to learn to like them 🙂 Looks like an amazing book! I’m pretty good at eating most of the CHAMPS! My biggest issue is with mushrooms and too much junk food! I’d love to get book so that I can find yummy recipes and better ways to add more champs to my diet! LOVE broccoli, cauliflower, mushrooms, scallions, etc. I probably need the herbs and spices as I really don’t know how to cook so that’s why I still eat out too much (fatty foods). My mainstay is that I make fabulous big salads which are delish, but I still use some oil. I really need to learn how to use my Instant Pot more and how to make a variety of delicious, easy nutritious meals. I need to learn to eat and love cruciferous veggies. I tend to eat mostly pulses. I kind of avoid nuts and seeds because of their higher fat content and my need to lose weight. I eat plenty of the other categories. I eat pulses everyday and vegetables, too, often leafy greens, but need to eat more mushrooms and cruciferous veggies. Maybe Jill’s cookbook will help with that! I eat all the CHAMPS, but could increase my usage of mushrooms. I like how you mentioned using dried or canned. I eat plenty of cruciferous vegetables and pulses I make a lot of dishes with beans. They are so filling. I eat these on a regular basis. I stay away from the nuts and seeds category for the most part as they are high in fat and easy to overeat but I could probably use improvement in eating more from the mushroom group. I have Jill’s New Fast Food book & it’s great! Very helpful accompaniment to my new pressure cooker. Even tho I was already a vegetarian, I’m now vegan in my cancer fight, and I’m eating most everything in the list. I could use some help with herbs and spices, however. And could add more nuts. Looking forward to your new book, Lani. All the best to you both! My husband and I became vegan 14 months ago. Due to our work schedules he is really trying to cook healthy dinners. However we have ended up eating the same meals and we started eating more desserts (I think to break up the boredom). We basically eat CAMPS-no herbs :(. Sadly, my sister recently got diagnosed with IgA nephropathy moderately advanced and she is very motivated and started a vegan diet. Her condition has motivated me to rethink our dietary intake and my husband and I want to share recipes with her. I got your newsletter today and Jill’s cookbook sounds Awesome! Great idea. Nutrition education and recipes organized in the CHAMPS groupings. I love nuts and seeds and eat them daily. I also love beans and eat them daily. I would love to learn how to use more cruciferous vegetables. Wow, I eat almost all of these every day. The one group I could stand to eat more of is mushrooms. I just forget, because I love them so much! I should probably decrease my nuts and seeds though, since I have a few stubborn pounds to eliminate. By the way, I love hearing Jill’s input on the G-Bombs InstantPot facebook group. I eat all of these things – but need to be more diligent with cruciferous veggies. I always have them in the fridge, but don’t grab them daily. I need new recipes! I eat all of them. Have always eaten good foods but was also eating bad. Pulses – I eat pretty much every day; mushrooms only once a week if that! Need to eat more varied foods, interested in Champs! Cruciferous veggies make it on my plate the most. I should ramp up the pulses! I eat a lot of cruciferous vegetables and beans and I’d like to eat more mushrooms. I’d also like to experiment more with spices and herbs. I tend to use my old standbys mostly. I eat all of these everyday. Well, I guess sometimes I eat chard, collards or dandelion greens instead of cruciferuos veggies. I’d love to learn to do more interesting things with hebs and spices. I love my onions because they sweeten the dishes; my mushrooms are on most meals with the occasional ground cinnamon/tumeric splashing on the lightly steamed broccoli/cauliflowers. I would love the e-book as i am anticipating lots more new excitement in my kitchen! I love mushrooms, but I need help with using herbs and spices effectively. I tend to under- or over-season! I eat lots of broccoli, kale, herbs & spices, lentils, beans, garlic, leeks & shallots. I would like to eat more cauliflower and cabbage. I love to sauté a large amount of mushrooms in water w/garlic and ginger and freeze. It makes it so easy to add to quinoa, rice or any vegetable or even pizza for a quick meal. This book looks wonderful – would love to win it! I eat all the champ foods, but could use more mushrooms and more lentils. I eat a lot of mushrooms and pulses. Also nuts, but usually as peanut or almond butter. I need to eat more cruciferous veggies. Luckily, I bought a head of cabbage tonight. I would like to also use more fresh herbs. Jill is a wonderful person. She is in a couple of my Facebook groups and is always very willing to share her knowledge. I hope her book is very successful! I try to eat everything included in CHAMP on a daily basis, but I could use more help in the cruciferous vegetable department! I think my problem is I need to season them a little more. Maybe once I get the seasonings down, they will take up more space on my plate! Love cruciferous veggies cooked or raw in smoothies and salads. Big fan of pulses. Just starting to experiment with mushroom varieties other than button. The one thing I’d like to have more of on my plate is herbs and spices, especially using them in various ethnic food dishes. C- for cruciferous: the champ of all the champs! I am always ready to include that group in planning my meals. I eat the most of cruciferous out of the list. I would love to eat mushrooms more often. I’m only eating them a couple times a month. I eat all of these regularly.. maybe more seeds. I eat all vegetables and have yet to meet one I didn’t like. I’m good with fruit too, 1-2 a day. I include chia seeds in my oatmeal, otherwise avoid all nuts. I follow McDougall MWL (6years and counting) I love this WOE! I eat all these regularly but I could use more herbs and spices for variety. 1. What we eat … Cruciferous vegetables – LOTS especially broccoli, Alliums … EVERY day, Mushrooms – love them and eat them often, Pulses (beans, peas and lentils) … a staple in our house daily. 2. The ones that I could probably use more of are fresh herbs. I tend to use dried herbs and spices. Also seeds and nuts … we eat them but tend to avoid because of the calories and oil. 2. Aliums – Not a big fan of them raw, but doing much better getting cooked onions in daily. I eat Cruciferous Vegetables on a daily basis and many times 2 or 3 times a day. I try to eat the others as well. but I find mushrooms and onions tend to give digestive issues more then beans. I do however eat all but mushrooms on a daily basis. We eat a lot of cruciferous veggies, but don’t really do much with mushrooms. I adore beans, mushrooms, and herbs and spices. I could eat them everyday! Cruciferous Vegetable and alliums are great too, but I don’t eat them quite as often. I would like to integrate more nuts and seeds into my diet. I have been on a whole food plant based diet for 7 months and will continue it.It has been a very interesting,pleasurable journey with excellent results. Definately a new path in my life. I eat all of the champ foods daily except seeds and nuts that are less frequent–have more weight to lose. 1) Pulses I eat every day. 2) Mushrooms I only eat on occasion and should really start adding them in more often. I eat cruciferous veggies most frequently, followed by nuts. I could use definitely use more of the rest, especially pulses and ‘shrooms. The timing of this would be awesome, as I’m recipe/cooking challenged and just about to rededicate myself to a healthy, plant-based lifestyle. my diet includes LOTS of pulses, my favorites are limas, pintos and black beans. I have a hard time with mushrooms, it’s the mouth feel mostly, so could use imptovement there. Onion and garlic are staples and are used often. Love Jill’s book The New Fast Food is one of my favorites so I’m sure CHAMPS will be great too! I eat plenty of the CHAMPS group but it’s the herbs and Spices on which I need HELP! I never know what one to use and when! I need out of my rut. I eat very little in the way of seeds and nuts. I’m huge on mushrooms and onions and lentils and beans. I like to experiment with different herbs and spices and my favourites tend toward Indian spices. I try and each all of them everyday. The easiest for me is greens, I love them!. Almost everyday I have mushrooms, garlic, onion, beans, tomatoes, sweet potato, greens in my soups and salads. I love the baby kales, collards, spinach, lettuces, arugula. Oatmeal and berries is my favorite breakfast. My spice collection has grown and I even find myself seeking out new plant based recipes from other cultures, so one of my newest spices is cardamon! I am eating walnuts, almonds, avocado, lentils, quinoa often but not daily. I have been working to incorporate all the 6 food groups in CHAMPS in my families diet daily. I want to get more creative and try more spices and herbs. Working on growing herbs in my garden also. I love trying new recipes. I love them all, but trying to eat more cruciferous veggies in a more raw state,,, dental issues give me trouble with doing that. I am drawn to alliums,, oh how I love my garlic! And I never met a mushroom that I didn’t like! I think Alliums are the easiest to incorporate into any type of cooking and add tons of flavor. I need to incorporate all of the other categories more into my daily cooking, especially mushrooms because I know how good they are for you. I love all if these foods and eat rhem all every day. I probably eat the pulses the most and the nuts and seeds not so much. I love cruciferous vegetables and beans, but wish I could become more of a mushroom fan. We do really well with mushrooms, onions, beans, lentils, nuts and seeds. 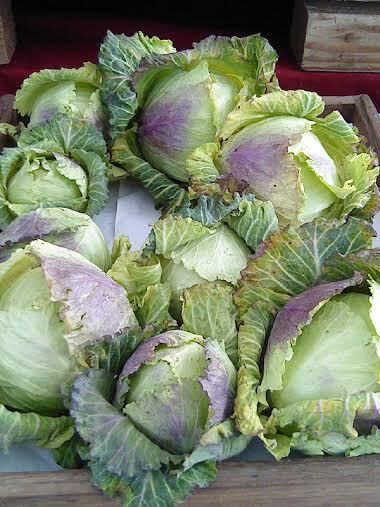 The cruciferous vegetables are now showing up as often as they should. We both like cabbage and broccoli but for some reason, don’t have them often enough. We have blueberries and almonds each morning at breakfast. Mushrooms several times a week, onions In almost everything. We have beans or lentils almost every day. I think we are doing well except for the green things. I eat most of them daily but definitely mushrooms, broccoli and cauliflower. I am currently eating very low fat so have eliminated the nuts and seeds for now but I just discovered Leeks in a cauliflower leek soup so that is the one I want to see more often on my plate. We eat a ton of cruciferous veggies as well as onions. I eat mushrooms on occasion but not every day. We use a variety of herbs and spices, but I need to start using more of what I have. I do some beans and lentils, but not a lot of seeds and nuts. We could probably stand to do more veggies. I try to keep it very simple. I eat onions and lots of veggies in my instant pot daily. My husband is not on board with my whole foods way of eating. So I try to keep things simple so I can stay on track. I am getting better every day. I am getting in shape for all the bike rides coming up and have been bringing potatoes,peanut butter honey crasin sandwiches, dates and dried kiwi instead of packaged foods and I feel great! Loving it. Any other tips would be greatly appreciated. I am allergic to mushrooms, so don’t eat those. I should eat more cruciferous vegetables. I do well in eating the others, but would like to better utilize herbs and spices to really add flavor. Truthfully I think I eat all those food groups pretty much every day. However, I’d love to use more fresh herbs and spices. Love the Veggie Queen! I eat all of the CHAMPS groups but I need to explore more of the mushroom group. I eat them all, but because mushrooms are rather expensive I don’t eat anywhere near as many as I would like to, and usually avoid the canned stuff! I’m eating cruciferous vegetables, nuts and seeds every day could definitely stand to see mushrooms occur more often. I am doing fine on the HAMPS, but could use a little more C on my plate! i use plenty of veggies ( grow my own kale, collards and mustard greens) and buy broccoli and cauliflower but need advice on herbs and spices . I’ve been eating WFPB for 3 1/2 months. All those veggie groups show up on my plate through out the week. Would love more recipes though. Thanks. I eat alliums, pulses and mushrooms the most. I don’t have nuts & seeds on a regular basis because I need to lose weight. And everyone can benefit from more cruciferous veggies. Thanks for the giveaway. I definitely have an affinity for beans, lentils, and mushrooms. I know I could really use to eat more cruciferous vegetables- my cooking skills with those are really limited. I eat the all. They all show up on my late during the day. But I guess gallium are with them all. And you can never get to many cruciferous. I think I eat from all the foods listed but I think the one I tend to lack is the cruciferous could stand to be on my plate more often. I try to only indulge in the nuts and seeds group on occasion because of how much fat they contain but it would be very good to find new recipes using these since my old “tried and true” ones are getting a bit old. I really like the mushroom group, although I mostly eat only one kind and not that often. Having new ways to include this in my menu would be really cool. Thanks for the give away Lani. Practically all dishes start with onions and garlic. Wish I liked mushrooms because of their anticancer properties, but I tried to like them and I just don’t think it will happen no matter how they’re disguised. Since I live about an hour away from town, I find that I munch to help me stay awake at night. The discovery that I can buy a huge bag of fresh, organic broccoli from Costco (that seems to stay fresh for over two weeks! ), has helped me do this in a very healthy way. Before I leave I grab a handful from the fridge and it keeps well in the car. Yummy and crunchy. Although I like mushrooms, I’m not sure if I should eat them. Along the way in eating plant-strong, someone thought that because I’m bothered by a type of small eczema, I might have Candida and shouldn’t eat mushroom or yeast. Who knows? Although we eat broccoli, cauliflower among the categories often, I could really use some health in different ways to cook them. They often end up steamed or in stir-fry. My family has been converting from meat based to plant based over the last year. Learning new ways to cook. Although we eat broccoli, cauliflower among the categories often, I could really use some help in different ways to cook them. They often end up steamed or in stir-fry. My family has been converting from meat based to plant based over the last year. Learning new ways to cook. I cook with a lot of onions, garlic, mushrooms, and fresh herbs. I enjoy broccoli and black beans the most. Not fond of mushrooms, but will cook them for hubby. I love mushrooms (cooked, anyway), and I use a lot of herbs and spices, but sadly I haven’t been cooking often enough to really get the other categories into my diet. I really need to change that! I tend to make mostly cruciferous and alliums in my house. My partner isn’t vegan. I would love to incorporate mushrooms and beans in ways my picky husband will enjoy more vegan healthy meals! Looking forward to a new exciting cookbook. I eat nuts and seeds – but needs good recipes for all the rest so I will eat them more! I cannot believe how different my lifestyle is now- at age 65 and retired- cooking has become my joy after attending McDougall 10 day boot camp… And Jill was one of our instructors!! who knew how drastically my life would change after that 10 days- I had never had a food processor, a blender, bread machine or electric pressure cooker before retirement. I cannot believe how many onions, red bell peppers and mushrooms go thru this kitchen! I would like to increase the Pulses!! Thank you Lani for making the Instant Pot less intimidating when I got it… and to everyone for all the awesome recipes that you share!!! I eat all of them, but could definitely eat more cruciferous vegetables! 1. I eat cruciferous veggies (broccoli most often), herbs/spices, alliums and pulses regularly. 2. I avoid mushrooms as they tend to give me a stomach ache. I could also vary my cruciferous vegetable and pulse intake a bit more. I am a standard orthorexic. Either I eat from all of those categories in a day or I eat none. I am not uncommon in this shortcoming, folk just mostly pretend. 1. I eat pulses every day-just had lima bean soup for lunch. 2. I like all the other groups too, but should eat more cruciferous veggies. I am not eating nuts & seeds now so I can loose 10 pounds that I put on from eating too many nuts! I always start my day with cruciferous veggies, whether it’s in my green smoothie, on top of whole grain toast or my morning oatmeal. I find that if I finely chop kale or collards, they don’t add any bitterness — I also use spices liberally, particularly fresh ginger, basil and turmeric. I love mushrooms but I don’t eat them all the time. I need to learn how to cultivate them because I am hooked on exotic varieties like monkey’s mane which can be expensive in the markets. I put Onions & Mushrooms into everything I possibly can. Cauliflower is the one from the list that we very seldom ever have. WE have an affinity for beans, lentils, and garlic. I know we could really use to eat more cruciferous vegetables. 1. I eat them all regularly. 2. Though I tend to avoid nuts…. I eat CHAMPS every day, so I’d love some new ways to use them!